Mobile is a huge part of life nowadays. The stats all point to a huge increase in mobile usage, and our own experience as users shows how much it has grown to dominate our online behaviour. So it’s natural for business people to focus on what they can do to make best use of this new opportunity. However, there is a lot of confusion which gets in the way of successfully implementing a mobile strategy. Why are iPads so successful? Apps — yes, glamorous, high profile, but they’re not the real story. 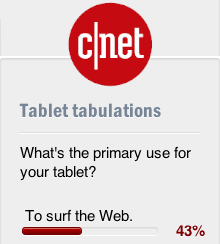 The truth is that the most common use of tablets is to surf the web. And when the iPad was launched in 2010, was there such a thing as a tablet site? Obviously not. The iPad became so successful because the browser built into it showed everyday web sites so beautifully that the man and woman in the street quickly came to use the tablet as the preferred way to surf the web outside of work. Takeaway: don’t bother building a tablet optimised site, tweak your main site to work properly with tablets. Yes they will, of course they will. How many times have you looked at a site on your phone, and it has been an adequate experience? How many times have you looked at a mobile site and it has not given the content you were expecting? Takeaway: it’s better to give a workable desktop site that is accessible on a mobile phone, than a crippled mobile site. If you are a high transaction brand, then a mobile site is a no-brainer: when using a mobile, customers are much more likely to buy on a mobile site than a desktop site. However, for certain brands and business models, a mobile site gives very little benefit: in this category, i would place high-value, low transaction brands, such as resorts in exotic locations. Not many people are going to book a week in the Maldives from their iPhone. 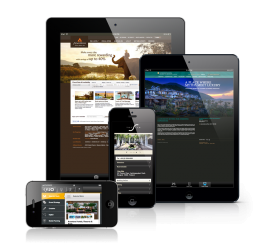 Responsive web design — where the same site expands or shrinks the screen to be optimised for the device — is popular as it does take care of all 3 classes of devices (desktop/laptop, tablet, smartphone). However, Responsive design is better suited to functional sites rather than site that provide a rich experience or are highly designed (think luxury brands). Very few large hotel groups have done this. A medium sized group that has done this effectively is MacDonald Hotelsin the UK, and a criticism of their site would be that brand takes a back seat. Takeaway: think of the mobile website as a prototype, a step on the way to an app. There are lots of things that can be done to increase your success with customers using mobile devices, from tweaking your existing site, to building a mobile site, all of which will provide a good return on investment, without needing to go as far as building an app. To continue the conversation, feel free to talk to me, anthony.green@quo-global.com.